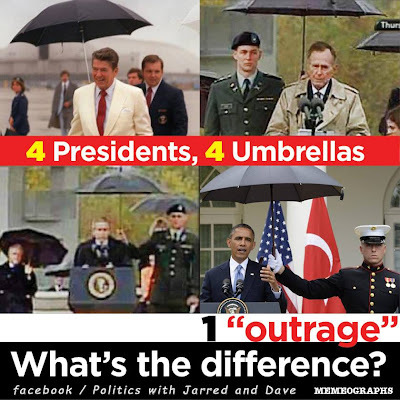 Umbrellagate: A soldier holds an umbrella for president Obama and the right wing republican idiots go insane with rage. But here's a picture of an umbrella being held for both Bush's and Ronald Reagan. I am really starting to think that at least 1/4 of Americans are legally retarded.